Responsib’All Day 2018 – Pernod Ricard (PR), with the theme of the Environment- Earth and Water, took place within the European Environment Week (the first week of June) and two days after the World Environment Day (06/05). The activities not only improve public awareness, contribute to the surrounding environment, but also shows the commitment of PR to apply the UN’s Sustainable Goals (SDG 6 and 15) to reduce the amount of plastic waste and bring life to the environment. 2018 is the 8th year Pernod Ricard hosts Responsible Day. This event took place in all of the PR branches in 85 countries, attracting 18,500 employees’ participation. In Viet Nam, the event takes place mostly in Ha Noi and Ho Chi Minh City. 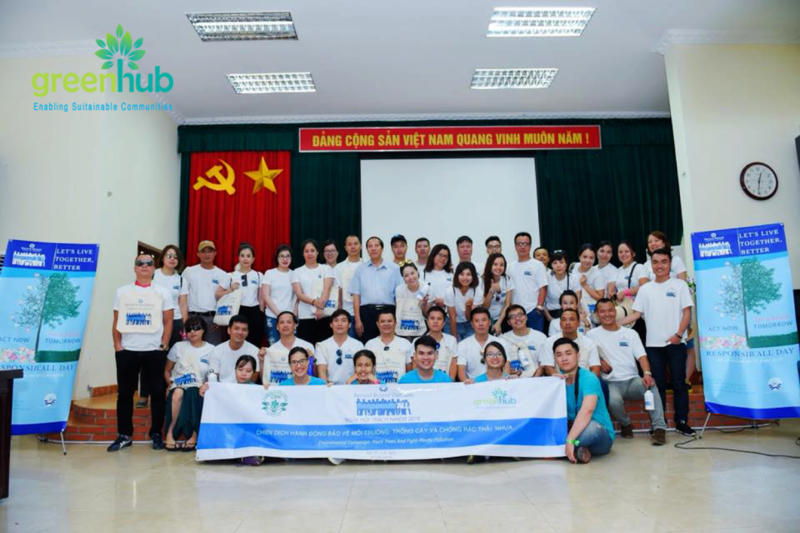 In Ha Noi, this event is hosted by GreenHub. 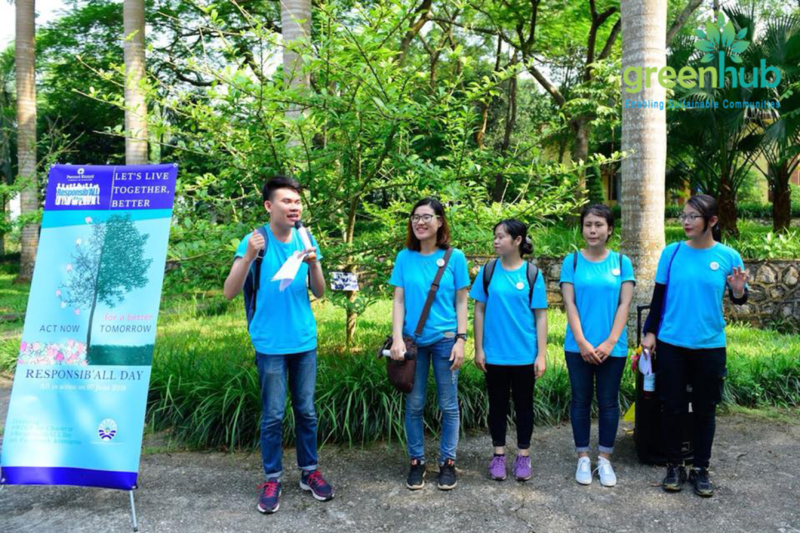 GreenHub has designed a one-day program, filled with useful, interesting and efficient activities and training sessions for staffs and employees of PRVN- Ha Noi branch at the Developing Center of the National University in Ha Noi. 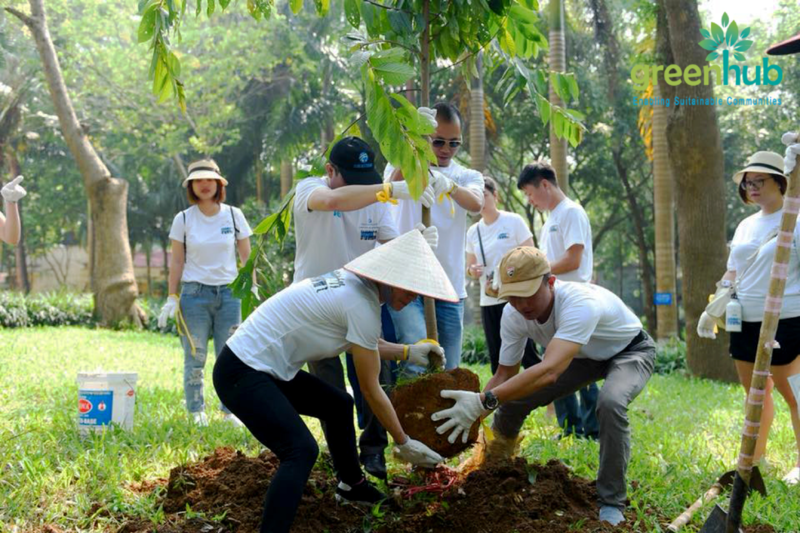 Pernod Ricard had planted trees himself in the yard of the Center, contributing to the aesthetic as well as reducing the carbon amount in the surrounding environment. 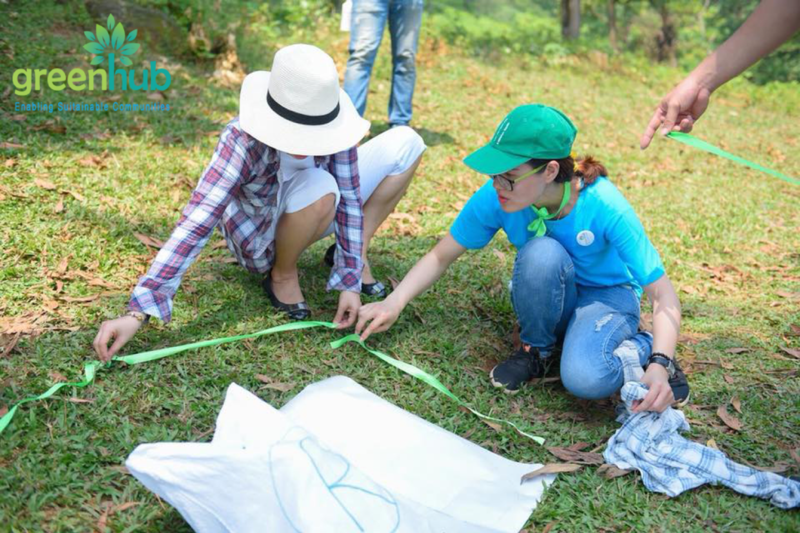 Beside the tree planting activity, GreenHub also assists PR in the clean-up activities around the Ba Vi National Park Area. After one hour, 35 members of PRVN collected 70 kgs of trash, mostly trashes from daily activities. The last activity is the training session on environmental protection and trash sorting. GreenHub has applied the interactive method, encouraging interactions between trainers and participants through raising questions, integrating and displaying interesting videos to enhance the concentration of participants in the contents of the training. GreenHub receives positive feedback from the staffs participated in the event, a majority of which reacts positively towards the training session. 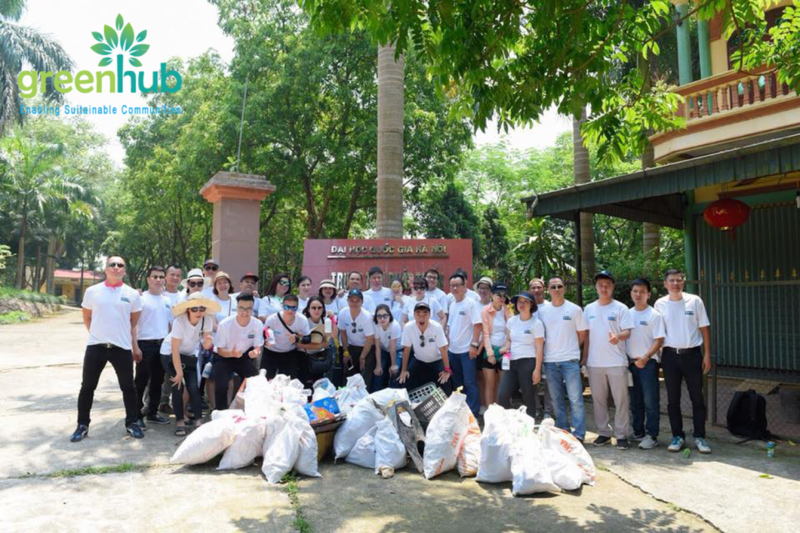 PRVN’s employees in Ha Noi has now acknowledged a part of the trash condition in Viet Nam and in the world. PRVN’s staff expressed surprise at the extremely long time it takes for some types of trash to be disposed of. Thus, they came to realize the importance of sorting trashes and reducing the use of one-time products. The majority of participants in the survey finds the program very useful and that this should be generated in a bigger scale among other companies and businesses. 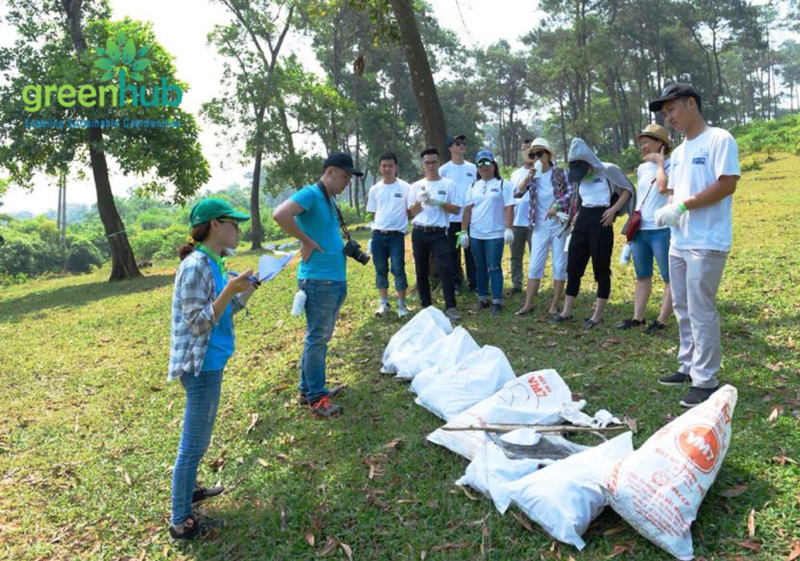 After the event, participants feel the responsibility towards the surrounding environment and start to form a habit of sorting trashes before dumping, refusing to use one-time bottles and cups if unnecessary.